Natural play is children exploring and enjoying the natural environment through their freely-chosen play. As well as simply enjoying playing outdoors and discovering green spaces, nature play could include planting and growing vegetables, fruit and flowers; cooking outdoors; playing with the elements or making camps and dens with natural materials. 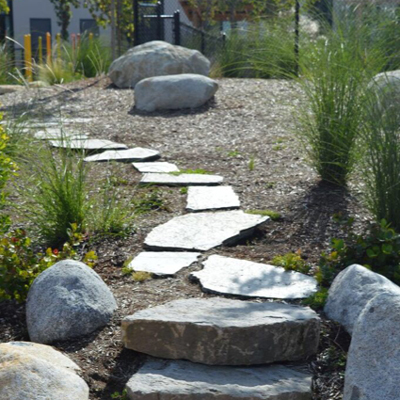 What are Natural Play areas? 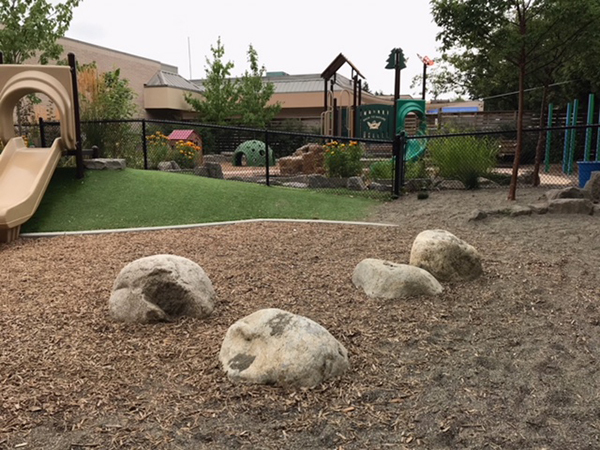 Natural Play Areas are outdoor spaces designated for play that are made of natural components such as plants, logs, water, sand, mud, boulders, hills and trees. These components represent the larger wild environment in a way that feels safe and manageable to young visitors and their parents while inviting imaginative and explorative play. Why is Natural Play Important? Today’s children and families often have limited opportunities to connect with the natural environment. Richard Louv called this phenomenon, ‘nature-deficit disorder’ and when he studied the developmental effects that nature has on our children. Louv documented how modern family life has changed dramatically in the last two decades. Children spend more time viewing television and playing video games on computers than they do being physically active outside. Families are eating more processed, high-calorie foods due to their busy schedules which makes a family sit-down meal a rare event. These changes have led to an epidemic of childhood obesity, which presents serious health threats for children including heart disease, diabetes, sleep apnea, and social and psychological problems. Supports multiple development domains. Nature is important to children’s development in every major way—intellectually, emotionally, socially, spiritually and physically. Supports creativity and problem solving. Studies of children in schoolyards found that children engage in more creative forms of play in the green areas. They also played more cooperatively. Play in nature is especially important for developing capacities for creativity, problem-solving, and intellectual development. Enhances cognitive abilities. Proximity to, views of, and daily exposure to natural settings increases children’s ability to focus and enhances cognitive abilities. Improves academic performance. Studies in the US show that schools that use outdoor classrooms and other forms of nature-based experiential education support significant student gains in social studies, science, language arts, and math. Students in outdoor science programs improved their science testing scores by 27%. Reduces Attention Deficit Disorder (ADD) symptoms. Contact with the natural world can significantly reduce symptoms of attention deficit disorder in children as young as 3 years old. Increases physical activity. Children who experience school grounds with diverse natural settings are more physically active, more aware of nutrition, more civil to one another and more creative. Improves nutrition. Children who grow their own food are more likely to eat fruits and vegetables and to show higher levels of knowledge about nutrition. They are also more likely to continue healthy eating habits throughout their lives. Improves eyesight. More time spent outdoors is related to reduced rates of nearsightedness, also known as myopia, in children and adolescents. Improves social relations. Children will be smarter, better able to get along with others, healthier and happier when they have regular opportunities for free and unstructured play in the out-of-doors. Improves self-discipline. Access to green spaces, and even a view of green settings, enhances peace, self-control and self-discipline within inner city youth, and particularly in girls. Reduces stress. Green plants and vistas reduce stress among highly stressed children. Locations with greater number of plants, greener views, and access to natural play areas show more significant results.